Quick trip to Vegas this weekend. Debbie and I celebrated my senior citizen birthday early (March 1st is the day ... to forget). 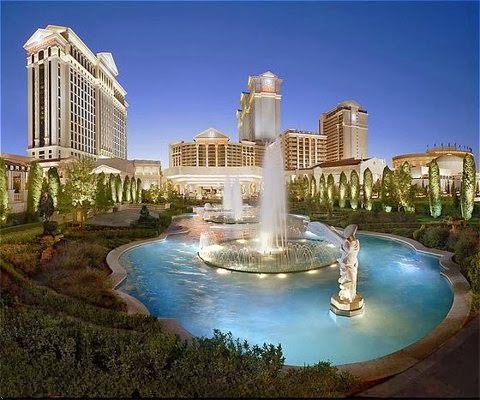 So we traveled to Caesars Palace on Friday morning. We boarded the plane and got great seats (on Southwest) made it it a mere 6 hours ... and voila ... we zipped over to the hotel in time for a little gambling. We did very well. (I promised Debbie I would not get real cocky here). 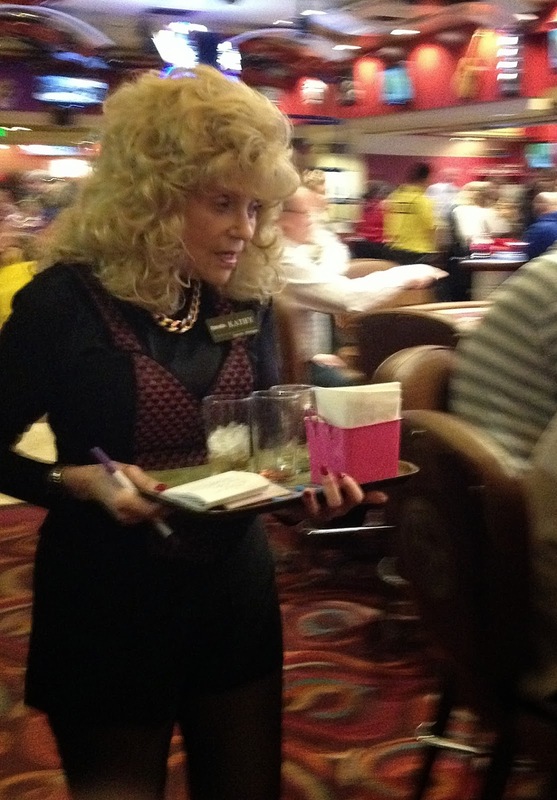 That night we made reservations to see Million Dollar Quartet at Harrah's. If I haven't mentioned this phenomenal Broadway play before ... I apologize. We have seen it twice (New York and Tampa). This cast was the best. 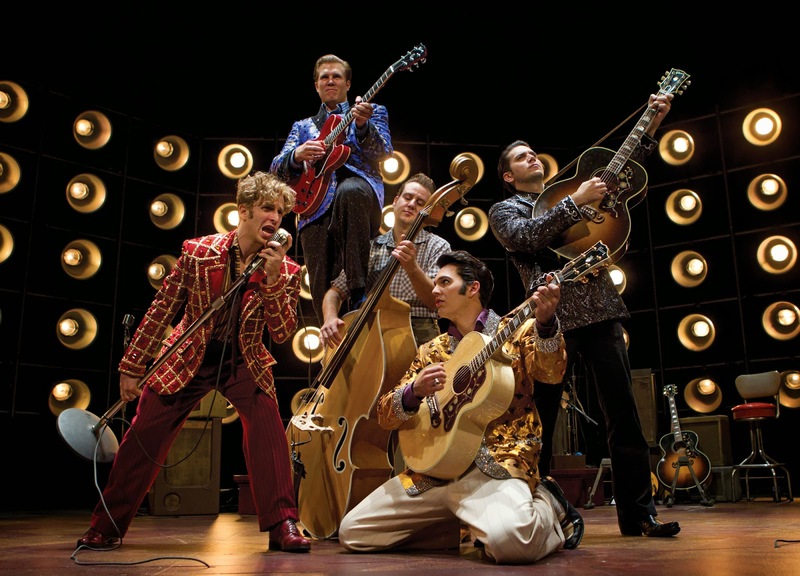 It's the story of a reunion of Carl Perkins, Elvis Presley, Johnny Cash and Jerry Lee Lewis who meet at Sun Records. We gambled a little at Harrah's after the play. I think some of the cocktail waitresses have been there since the hotel was built. The wigs are brand new, however. That night we grabbed a bite to eat at a place called Munchbar. Just the right amount of food. The next morning, we visited the Caesars Buffet ... Voted Number 1 in Vegas. They had everything there. 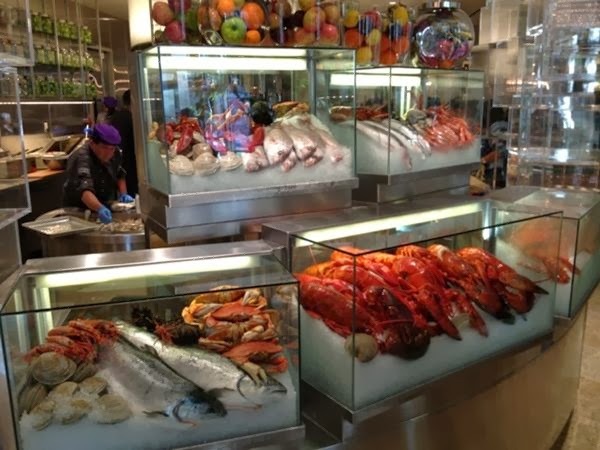 Breakfast stuff, lobster, oysters, crab, shrimp, Asian, Italian, French ... you name it (for only $100 per person ... thank heavens for our Total Rewards cards) . 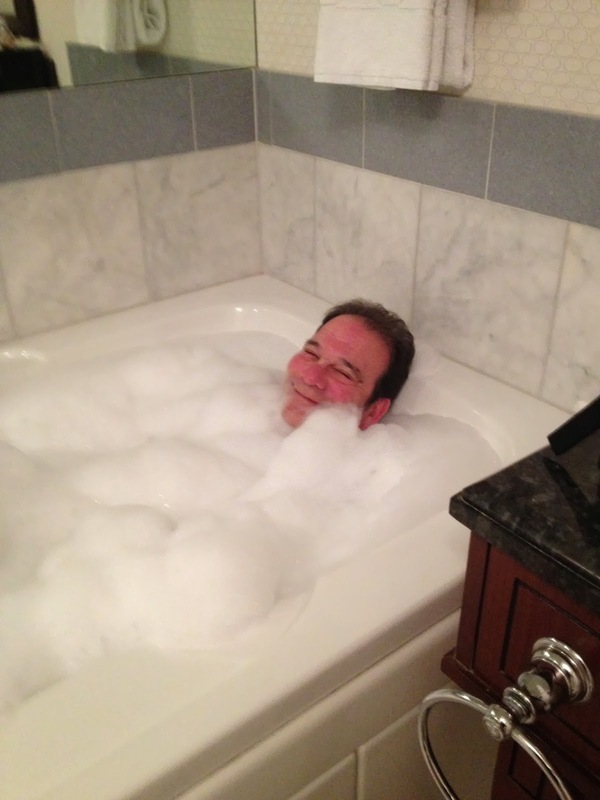 I took a nice quiet bubble bath in our hotel room because ... because I hadn't really ever taken a bubble bath. Plus, I just bought Debbie a new Louis Vitton bag for MY birthday and needed a bath (after I took one at the store). Then ... refreshed ... we went gambling again. Won ... and headed to Gordon Ramsay's new Steak place. Another winner. What a cool place. Home on Sunday without any major air travel nightmares, big gambling losses or mix ups. Buy HOME MOVIES today !!! Click here!